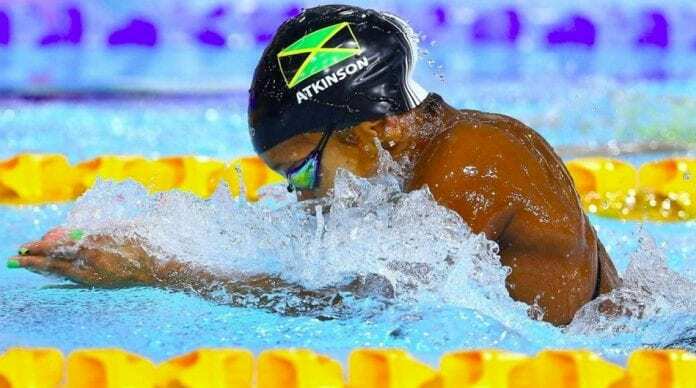 World record holder, Jamaican Alia Atkinson was again in good form on the final day of the FINA World Cup. She continued her winning ways in the 50 meter breaststroke and set a new national record in the 100 meter butterfly in Beijing, China on Sunday. Russian Yulia Efimova claimed silver in 29.63s while bronze went to former world record holder in the 100 meter medley Emily Seebohm of Australia who ended third in 30.35s. The 29-year-old then returned to the Water Cube where yet another standard was broken for the 29-year-old in the 100m butterfly. In that event she stopped the clock at 57.38s to finish fourth and lower the previous Jamaican record of 57.56s which she had established on August 3, 2017. Atkinson’s feats on day three follows her clocking season best times in the 100m individual medley (58.99s) – where she placed fourth – and in the 200m breaststroke where she was fifth in a time of 2:24.35 (split time 1:09.85) on day two. She opted out of the 50m butterfly championship final after qualifying with a time of 26.50s. The next stop for the tour will be in Tokyo, Japan from November 9-11.